Overview: GET ROCKED! 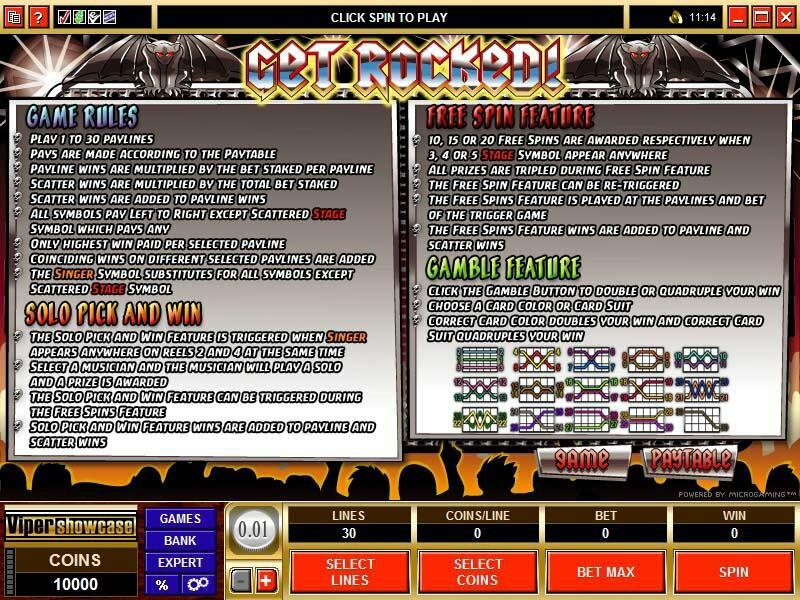 is a 5 reel, 30 pay-line game that will do the same, capturing online the energy and magic of rock 'n roll concerts and combining it with an irresistibly entertaining mix of Wild, Scatter, Free Spins, Multiplier and Gamble action....and two different bonus opportunities. 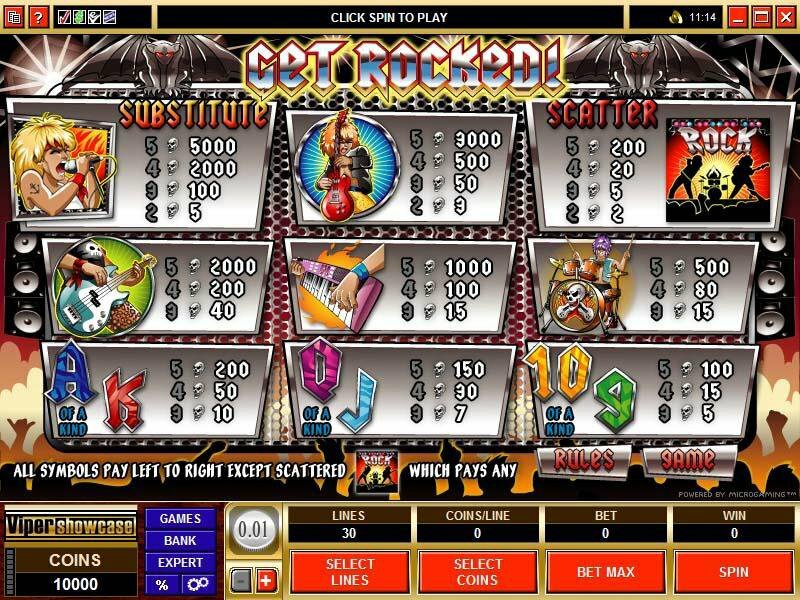 Check out the Rock stars on stage in the brilliant graphics which carry the theme on this game. The Solo Pick 'n Win feature is triggered when the Lead Singer appears anywhere on reels 2 and 4 simultaneously. 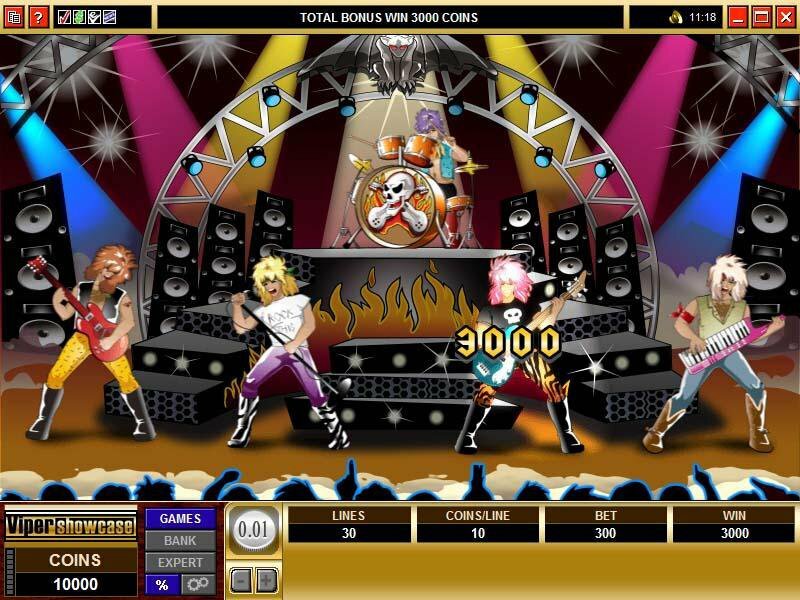 That presents the player with a choice from the five members of the band, who will play a solo and hand over the reward. 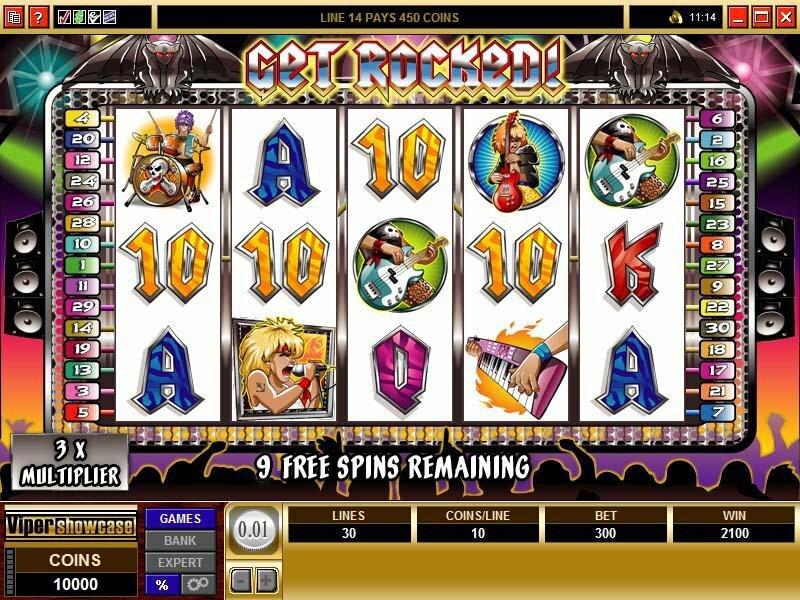 Or look out for the lucrative Stage symbol - when 3, 4 or 5 of these appear anywhere on the reels the player gets 10, 15 or 20 Free Spins with a 3x Multiplier....and adding to the excitement, the Solo Pick 'n Win can be triggered during the Free Spin cycle. Running through these features and helping the player to build winning combinations is the Stage, which is the Scatter in the game, and the Lead Singer, who represents the Wild. 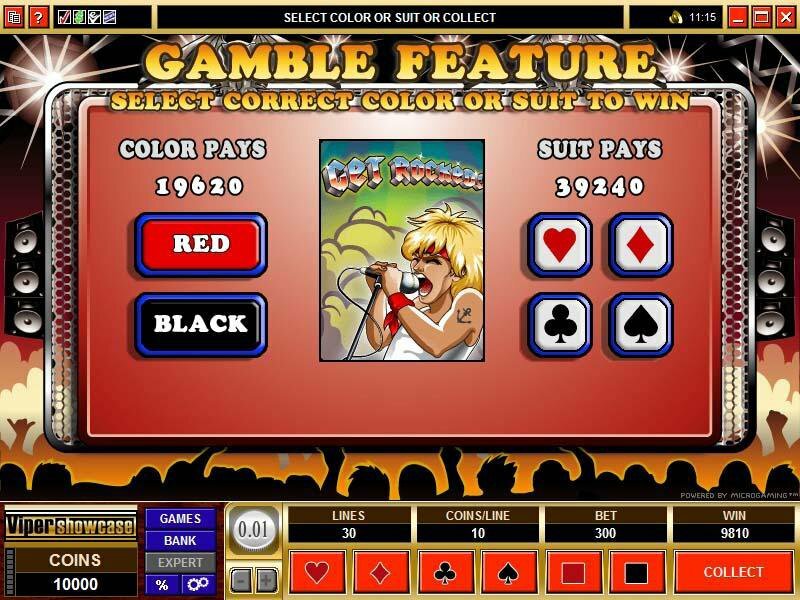 And topping of a truly rocking online gambling package is the very popular Gamble feature, where players can double or quadruple wins by correctly guessing the suit and color of the next card up. 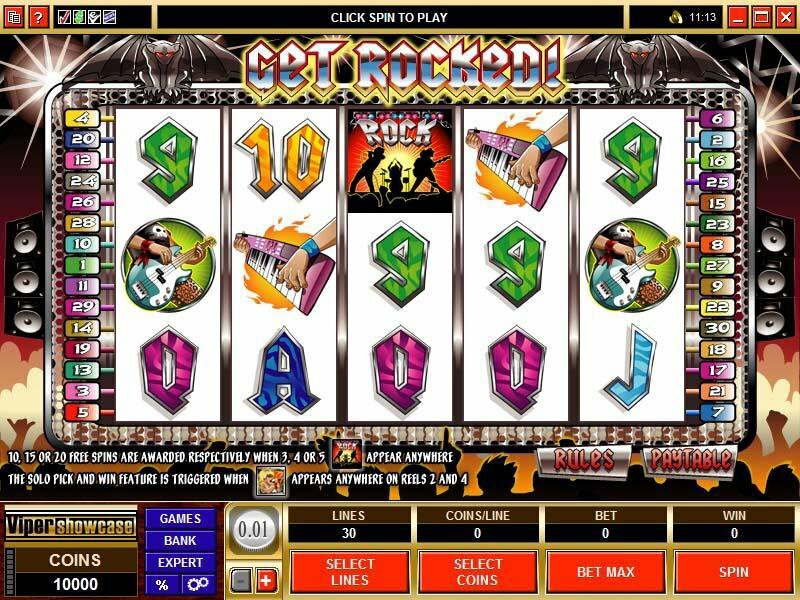 Similar Slots: If you like Get Rocked!, you might like these other 5-reel slot machines: Dog Father, Hot Air, Love Potion, Pedal Power, Sun Quest.